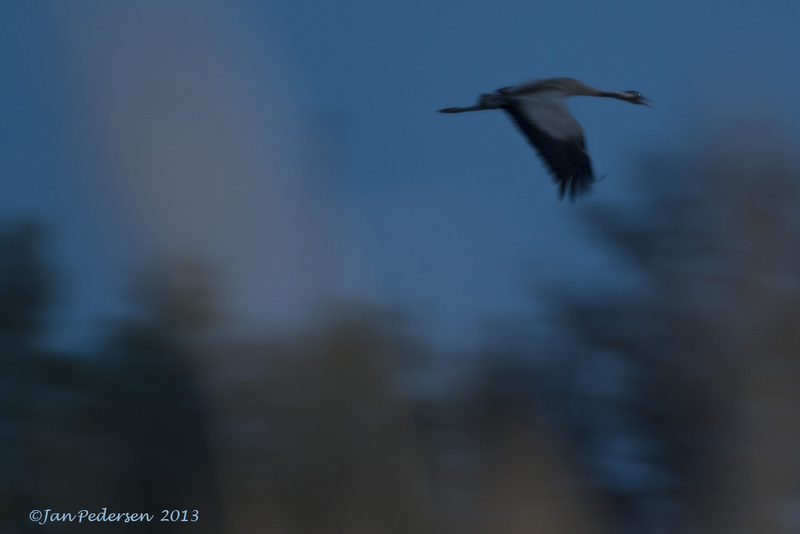 From last night - crane after sunset, in the blue hour. Images should more often convey a sense rather than just depicting the object straight away. The life in nature is at the most rapid speed right at the moment.